Mobile Apps | SEO Melbourne, Expert Agency, Best Service & Prices, Click Campaigns. Mobile applications are the ‘hottest’ items in marketing right now, and businesses embracing them are gaining a huge advantage over competitors. ‘Ride the wave’ of their popularity and massively increase your profits by ten to thirty percent by developing your own Mobile App. Your customers have your latest menu on their phones 24 hours a day 7 days a week. If they’re hungry your menu is in their pocket. Your customers can call you with the the touch of a button to order takeaway food or book a table. You get more orders and bookings. Give your customers turn by turn GPS directions right to your door directly from the app. It’s so easy for customers to give friends directions to your restaurant, just send them the app. Send messages about special offers directly to your customers iPhones. Stimulates demand and gets more orders. Customers can redeem special offers you send them using their phone. Makes running a loyalty program easy, increases your profits. Provide up to date information about all of your businesses events and specials with an events calendar. Combine with push notifications to create VIP events. Did you know the sales of smart phones outpaced computer sales last year, and for the first time ever people spent more time in smart phone apps than they did in internet browsers! 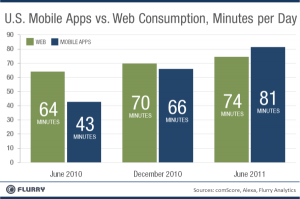 Smart phone activations and the download of smart phone applications exploded in 2011, and then accelerated off the chart. In January of 2011 Apple had 10 billion smart phone application downloads, and this grew to 15 billion by July. Then in December, the Google equivalent of the iPhone app, Android apps, did exactly the same. Add to this the fact that 96% of the population now keep their mobile within 1 meter of themselves – 23 hours a day, 365 days a year, and it’s suddenly possible to literally have your business in your customers pockets. How would you like your customers to carry your business around with them in their pockets? Do you think that would increase your sales? You bet it will, especially when this is combined with special VIP offers to customers that have downloaded your app. So download our complimentary step by step marketing plan valued at $995. It shows you how to grow your restaurant by 10-30% in 12 months using our smart phone apps. Get it now, it’s in the top right hand corner of this page. Act now, this technology is a phenomenon, everywhere you look people are using smart phone applications, it’s the marketing of the 21st Century, and business that act fast will get a huge advantage over slow moving competitors. Plus, for a strictly limited time, Click Campaigns can provide these applications for you at a price that is so low, it’ll blow your mind.